You only have one chance to make a first impression. Show them that you mean business with your website by Superbia Media. Our team designs websites that are eye-catching, user friendly and have the functionality to turn clicks into customers. Clean and easy to navigate, the sites include all the features that our customers need and want. 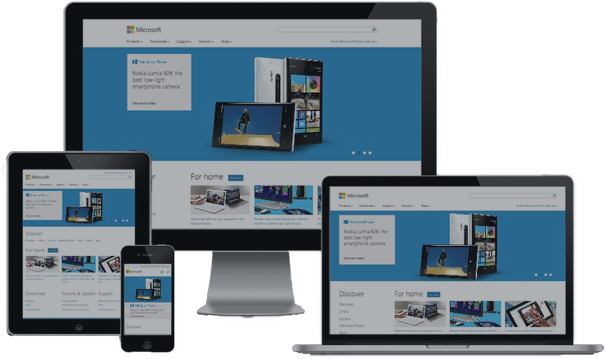 We work with all major platforms to develop websites that are high-performing and works seamlessly across all devices. Superbia can help you wade through the many hosting options and assist with making the best decision for your company. At the end of the Web Design experience, we assure that you will feel confident that your online presence will attract and retain your target customers. Superbia Media Group excels at branding. We create logos that shape a positive image about your company through shape and color combinations to captivate an audience and make a lasting impression. We capture your company's culture, vision, and distinction to establish a logo that exemplifies all that you want to be to the world. Our process to developing the best Search Engine Optimization Plan for our clients is heavily influenced by user experience. We find the right words and phrases that today's audiences are using to find the exact services offered by our clients. We also research keywords to see what the top firms in your field are using to develop a comprehensive plan that will improve your ranking in search engines. Finding the right Digital Marketing partner is key to your business success. Superbia Media Group has an excellent graphic design time that can continue to tell your story through flyers and postcard designs, presentations, social media content, and any other design needs. At Superbia, continuity is important. We never forget your company's vision, and we assure that it will be shared in all forms of digital media. While you concentrate on your customers, let Superbia concentrate on you. Our team provides affordable web maintenance programs that promise to keep your website updated in the most current versions to maintain its performance quality. We also have packages for content and product updates and periodic SEO audits. Ask one of our professionals how we can help. Let us customize a package for you. Copyright © 2018 Superbia-Media . All Rights Reserved.